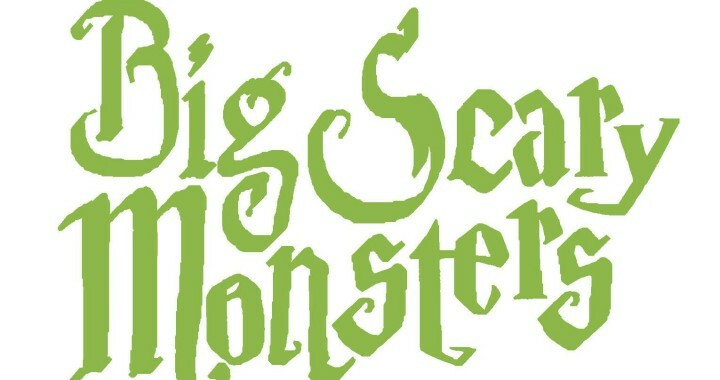 Big Scary Monsters is an East London based independent record label specialising in no genre in particular. It was formed soon after the millennium and in the last decade has put out music by Tall Ships, Caspian, Matt Pryor, DZ Deathrays, Gnarwolves, Pulled Apart By Horses, Kevin Devine, Get Cape. Wear Cape. Fly., Woahnows, This Town Needs Guns, Algernon Cadwaller, Axes, and La Dispute – to name a few. BSM also set up the Pink Mist collective with Holy Roar, and Blood and Biscuits Records, and later Tangled Talk; a collective that works together to help promote more good music through blogging, shows and recordings. A hectic schedule maybe, but running a record label wasn’t always on the cards for owner, Kevin Douch, who said: “I was really into music for a number of years before starting the label, but had absolutely no desire to be in a band and had never even considered working in the industry. Then one day it popped into my head and I think it took all of a week to realise it was the only thing I wanted to do!” This may make it sound easy, but he admitted: “There are definitely moments when I can’t help but crave an easy 9-5 job where I can switch off when I walk out the door. I’m sure, given such a job, it’d take me more like 24 minutes to be wanting the label back though!” That’s not hard to believe, especially when your catalogue includes a square single by Andrew W.K..
Posted in Features, Spotlight and tagged andrew w.k., big scary monsters, caspian, DIY, Gnarwolves, kevin devine, kevin douch, La Dispute, Pulled Apart by Horses, Record Label, this town needs guns, uk, woahnows.